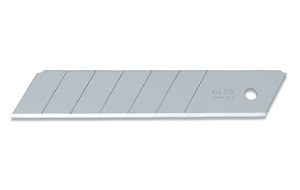 OLFA Blades HB-5B Model 5008 25mm are extra heavy duty snap-off replacement blades. Each blade is produced using OLFA's precise multi-step production process for amazing sharpness and superior edge retention. 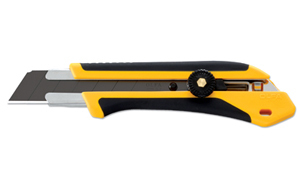 Easily handles cutting through difficult materials such as drywall, roofing, leather, rubber, plywood, and more. 7 cutting edges per blade strip. 5 pack features 35 cutting edges. 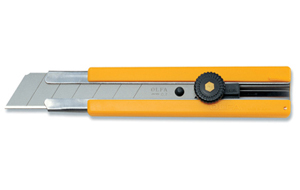 For cutters that will accept a HB blade-can be used in all OLFA's extra heavy-duty cutters.